With the frog princess in school, I have one more thing to add to my list of concerns (okay, I lie. I have like 13 things but, go with me on this). They play outside and wouldn't you know it, I have to make sure that I apply sunscreen every day to protect my baby girl's sun kissed skin. So of course, I turn to Neutrogena because they already take such good care of my skin. 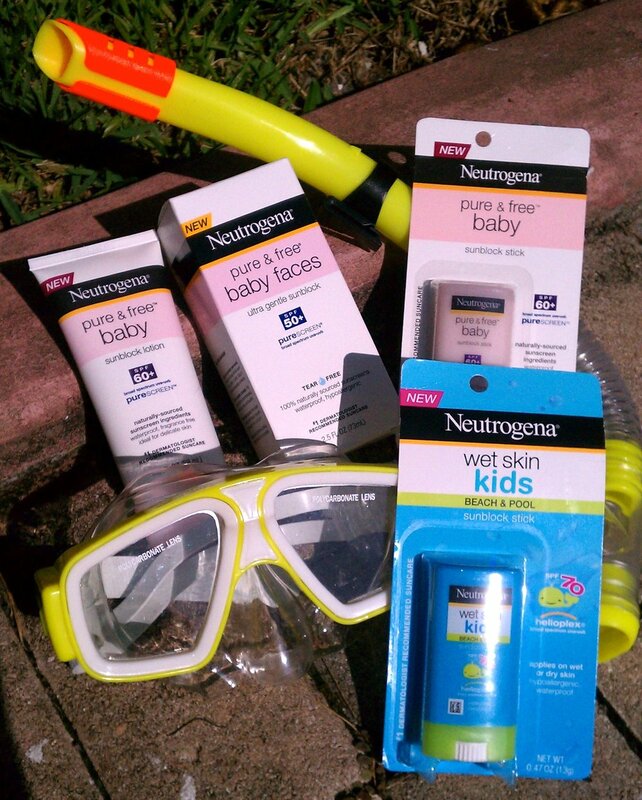 I was happy to hear about Neutrogena® Wet Skin Kids - the first line of sunscreen specifically designed to be applied on kids' wet skin. What's so special about it? Even if the frog princess is slick with sweat (because somehow she sweats a lot for a little girl) I can reapply the protection and have it still do its job! Neutrogena® Wet Skin Kids Sunscreen instantly cuts through water to form a superior broad spectrum protective barrier and features HelioplexÂ Technology, to help protect skin from the sun whether kids are dry or wet. How cool is that? I love that I have different options with Neutrogena. Being in Florida means year-round sun protection. When the frog princess was first born, I wasn't sure what I could put on her skin. Surely the regular sunblocks and sunscreens were too heavy for her. Well, Neutrogena Pure & Free® Baby was created just for little ones. Formulated with a gentle, tear-free formula it will help take the worry out of applying sunscreen to your baby's delicate face. The frog princess's sun kissed skin needs to be protected at all times. I wouldn't trust anything else on her skin. And now I can add a new favorite product for my new mami friends and their bundles of joy. And you can too! Enter to win some Pure and Free products. Tell me, do you use sunscreen?